‚Im Freien’ (‚In the Open’) was awarded with the nomination for the European Film Awards 2012 by the Jury of the Short Tiger Awards at the International Film Festival Rotterdam (IFFR). 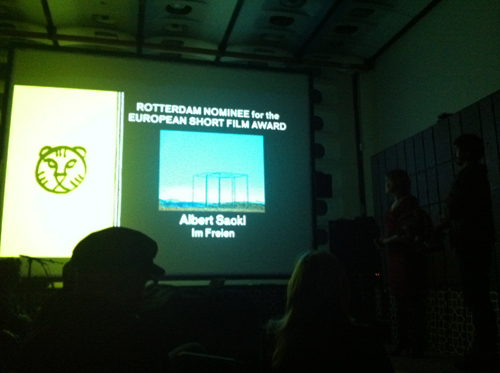 The European Short Film Award was assigned under 15 shorts, that are selected by various european film festivals. The ceremony for the 25th European Film Awards was taking place in Malta on 1 December 2012.